Living at School allows pupils to make the very most of each day, with time beyond lessons to reflect, relax and engage further in activities, sport or study. 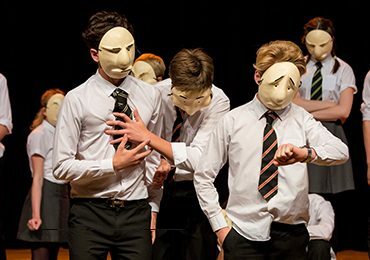 Boarding pupils are at the heart of the School with each pupil belonging to a boarding house (essentially a pupil’s ‘school family’) and a form, led by their form tutor, alongside day pupils. When lessons are finished, the boys and girls return to their boarding house for after school snacks and a catch up on the day with friends, all under the warmth and care of their Head of House and matrons. Evenings and weekends are filled with activities on site with regular excursions locally including to theatres, museums and attractions in London and the South East. 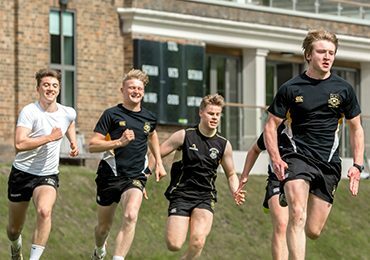 The School’s Sports Centre, with indoor pool, sports hall and fully equipped fitness centre, is popular with boarding pupils. All of our boarders live on the school campus in one of three boarding houses: Beech Hanger House (girls’ house), Townsend House (junior boys) and Viney House (senior boys). 16.00 End of school, time to relax, have a snacks in house and enjoy some free time. Boarders are welcome to bring day friends back to their house. Activities also happen at this time. No prep on Saturdays. Prep on Sundays starts at 19.30 after the School Service. After prep: Free time; sports activities and recreation facilities available.